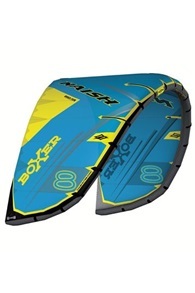 Buy Naish Kites & Kiteboards Online - Kitemana! Whether you like to surf a barrel or like to go faster and higher than ever before, Naish kites will help you. Since the beginning of Naish in 1979, the surf brand is busy developing and producing high quality kite, wind and surf gear. Naish was started by living windsurf legend Robby Naish himself. His passion for water sports is reflected in the development of Naish kites, boards, surfboards and more. And Naish kiteboarding has in recent years become one of the most selling and best quality kitesurf brands on the market. 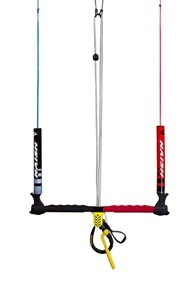 The Naish Torch, for example, has been one of the most beloved C-kites for years. Our Dutch pro's Kevin and Jalou Langeree are won a lot of freestyle competitions on it. Also wave kites from Naish, like the Slash and Pivot are praised by many riders for their versatility and good flight characteristics. Kevin who switched to the Pivot just before King of the Air 2018 showed you how to fly with this kite, go mega high and then crown himself King of the air 2018. In addition to kites, Naish also produces awesome surfboards, kiteboards and since 2017 also foils of super high quality. Whether you like freestyle, freeride, wakestyle, surf or foiling, Naish has a suitable model for you. 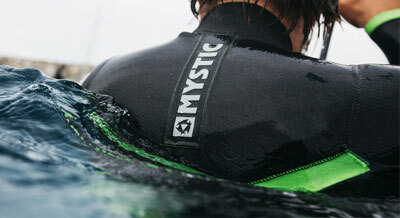 Naish kiteboarding can be recognized by the well-known logo with skull. This skull was drawn and designed by Robby Naish himself. 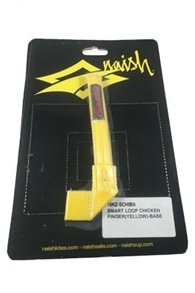 Over the years, the Naish kitesurfing logo has gone through a development and is now slightly more subtle than in the early years. But still iconic for the Naish Kiteboarding Brand. 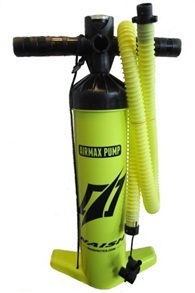 Do you have a question about Naish or do you want to know something about a certain product? Call or email us! Naish was the very first to develop kites to where they are now. 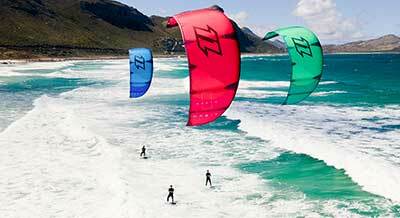 The kitesport is actually originated on Maui (Hawaii), which is also the home of the brand. 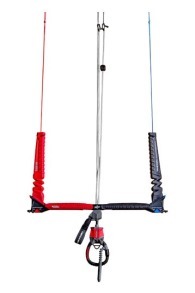 All new kites, kiteboards, kitesurf foils and kitesurf bars are thoroughly tested every year by all kitesurfing athletes from Naish kitesurf on Hawaii and the rest of the world so you can be sure that you will get the best equipment when you buy a Naish kiteboarding product. . 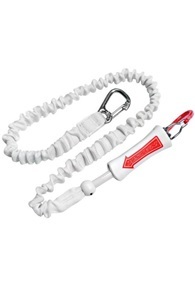 In the pioneering years of kitesurfing a number of windsurfers, including Robby Naish, Pete Cabrinha, Don Montague and many more experimenting with everything their creative brain could imagine, two line kites with huge bars without, for example, the well-known chickenloop. It was only testing and developing day in and day out. 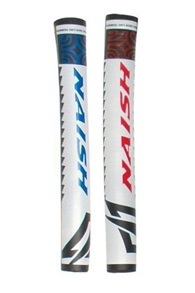 In the end, Naish has become one of the largest brands in the world. In 1999 they started to really think big about kitesurfing at Naish and they got the feeling that this could be a big sport. That year Naish kiteboarding brought his first kitesurf kite the AR 3.5 on the market, a kite with two lines. 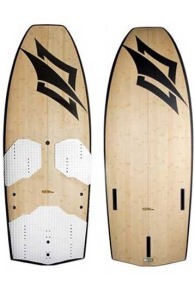 Later that year, Naish kiteboarding released the first kiteboard, the Naish Sky Pirate. At that time the kiteboards were about 7 feet long, that's about 2 meters! The times have changed the kites have become bigger, safer and stronger. The kiteboards have gone from super small 1.24m like the Naish Thorn in 2006 to slightly larger 1.38 like the new Naish Monarch. Where Naish will finally go to in the kitesurfing sport we don’t know, but it is getting better every year and we are curious about what Naish can bring us in the future of the kitesurfing sport. 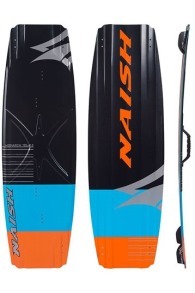 The Naish Apex binding is simply put the best bindings right now! In 2016 Naish has the Apex binding in their assortment, as far as we are concerned, a superior binding with a perfect fit for almost everyone. 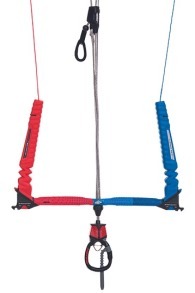 The Apex can be adjusted with Velcro on four different points. 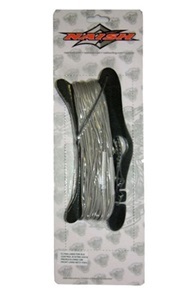 This means that almost every foot will fit perfectly in the binding. 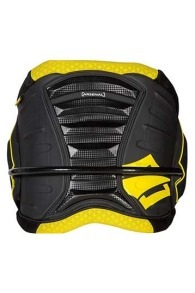 Naish has also developed two options for the pads: a soft and a hard pad. 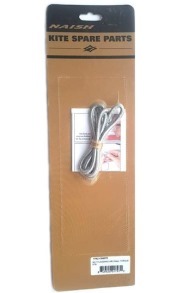 If you have been looking for a very good binding for a long time, we definitely recommend it. 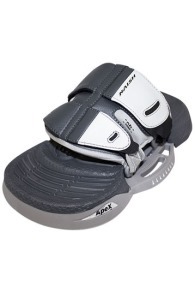 The Naish Apex bindings are on stock and directly available in our webshop! 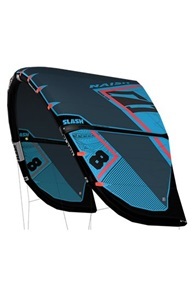 We are a fan of Naish kiteboarding. 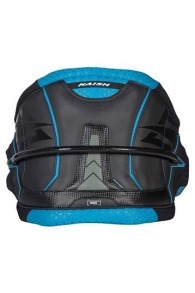 The kites, kiteboards, bars, surfboards and all other kitesurfing materials from Naish are of the highest quality. Naish may rightly call itself one of the biggest kitesurf brands of the moment. 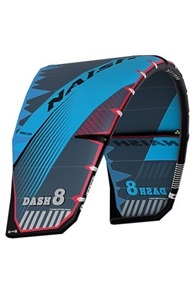 We have Naish kitesurfing gear in stock if your Naish kitesurfing product is not available, you can always call us and we can quickly arrange for your Naish kite, board or bar. 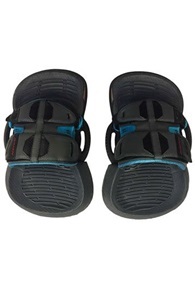 With us, Kitemana, you can order all your Naish kitesurfing materials, boards, barren kites and more online. 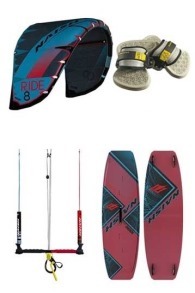 Although we are for the most part an online kit shop, you can always come by for personal advice or call us for all information about your Naish kiteboarding kite, kiteboard, bar, surboard or something else. If you do not have time for this, we can always talk to you via WhatsApp.